DOWNERS GROVE, Ill.—It is Tuesday, and not a single bed is vacant in the detox unit at Advocate Good Samaritan Hospital, located in this middle-class suburb about 23 miles west of downtown Chicago. A group of nurses huddle around a workstation to discuss the day's care plan for each of the patients in the 10 semi-private and private patient rooms. While the unit looks like any other medical department in the 333-bed facility, its entryway's large wooden doors remain locked 24 hours a day. A row of lockers in the hallway outside those doors adds an extra measure of security for patients and providers. Since 2012, Good Samaritan has been the only facility within Advocate Health Care's 12 acute-care hospital network with a unit dedicated solely to substance abuse detoxification. All patients who come to the detox unit arrive from the hospital's emergency department, and stay an average of three days before either moving on to a treatment facility or being discharged. Fergle said the goal of the program is to help those who are at high risk of dying from their substance abuse by putting them in a place where they can connect with a treatment center after they've been discharged. The increase in heroin users coming to the hospital reflects current trends in drug abuse in the community. For the past several years, DuPage County, better known for its bedroom communities and conservative politics than its drug problem, has been struggling with a rise in opioid dependency. Heroin and fentanyl abuse were responsible for 78 overdose deaths in 2016, a 53% increase over the previous year. As the opioid epidemic spreads into the nation's middle-class suburbs, community hospitals are responding by dedicating beds for detoxification and working with local rehab programs. Similar scenarios have played out in suburban communities across the country. Overdoses from both prescription and illegal opioids killed more than 183,000 Americans between 1999 and 2015, according to the Centers for Disease Control and Prevention. The drug crisis has grown exponentially in big city suburbs in recent years. Areas once thought immune find themselves subjected to the same societal issues that were traditionally associated with hollowed-out urban centers or economically devastated exurbs. Such changes have caused a noticeable shift in attitudes about addiction in those communities as residents have witnessed neighbors, friends and family members struggle with the disease. The growing prevalence of addiction within the national consciousness made the opioid crisis a top campaign issue of the 2016 presidential race. Both Democratic nominee Hillary Clinton and Republican nominee Donald Trump called for committing more resources toward increasing access to treatment. Growing demand to treat the opioid epidemic as a public health issue instead of a criminal one led Congress last July to pass the Comprehensive Addiction and Recovery Act in a rare show of bipartisanship. Proximity has also affected the way healthcare providers serving those suburbs have approached addiction issues. “One of the most stigmatizing groups is the medical profession,” said Dr. Brian O'Connor, founder of Middlesex Recovery, a treatment center located about 9 miles north of Boston. O'Connor estimated up to 99% of the 1,000 patients who visit his treatment center are white, middle class, and from the Boston suburbs. He said providers in these areas have gotten more accustomed to dealing with issues related to addiction as the number of patients presenting such problems increased. 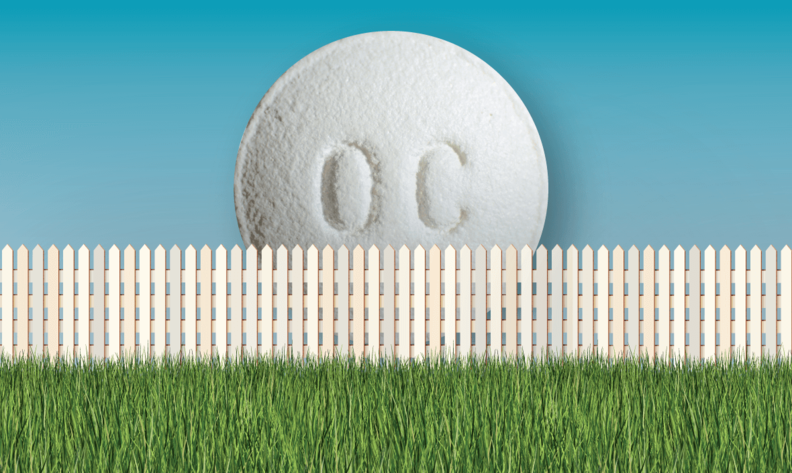 Suburban providers have some advantages in treating substance abusers. Their patients are generally better educated and more aware of the dangers posed by addiction to prescription opioids. As a result, addicted suburbanites are more likely to recover than those in more impoverished areas where resources for treatment are scarcer and adherence to program treatment harder to achieve. But the stigma associated with addiction may still cause suburbanites to believe that drug abuse is something that happens somewhere else. “If they believe that addiction 'can't happen here', they will neglect to screen their patients for substance use as they should and respond appropriately to addiction when they detect it,” Humphreys said. For a suburban provider, such a belief could cause them to fail to establish system measures that would improve prevention and treatment efforts. “A lot of hospitals could be doing a lot more and they're not,” said Aaron Weiner, director of addiction services at Linden Oaks Behavioral Health, the mental health and substance abuse treatment arm of the Edwards-Elmhurst Health system in Naperville, which, like Advocate Good Samaritan, is in DuPage County just west of Chicago. Linden Oaks is developing drug prevention and treatment standards for the system. Last year, Linden Oaks launched an opioid task force that focused on changing prescribing habits, increasing education on addiction, reorganizing a pain clinic and expanding addiction treatment resources. The task force recommended physicians use the state's prescription-drug-monitoring program. Linden Oaks incorporated an alert system in a patient's electronic medical record to let prescribers know if a patient has a history of seeking drugs. It also included a prescription for naloxone, an overdose-reversal drug, with every opioid prescription doctors wrote. “Treating the afflicted is one part of the epidemic, but the other part is containing the outbreak,” Weiner said. Only 15% of the patients who come to the detox unit at Good Samaritan each month go on to get addiction treatment, a statistic that is both frustrating and gives hope, Fergle said. The unit works closely with local rehabilitation centers and 12-step programs, whose members volunteer their time with visits to the hospital at least once a week. Patients who refuse to go directly into treatment from the detox unit are given the option of working with a community liaison specialist, who follows up with phone calls and one-on-one visits after discharge. The idea behind the program, according to Royal Mayer, one of those specialists, is to try to establish a relationship of trust with the patient that will hopefully help persuade them to seek treatment down the road. The program's successes prompted the hospital to increase the unit's inpatient beds to 14 by October. The model has even caught the attention of two other Advocate hospitals, who are considering developing similar units at their facilities.